The Maruti Suzuki Celerio X is a slightly beefed-up version of the Celerio hatchback with crossover-like styling. Maruti Suzuki India will also offer new features, all-black interior, alloy wheels, new styling and more. 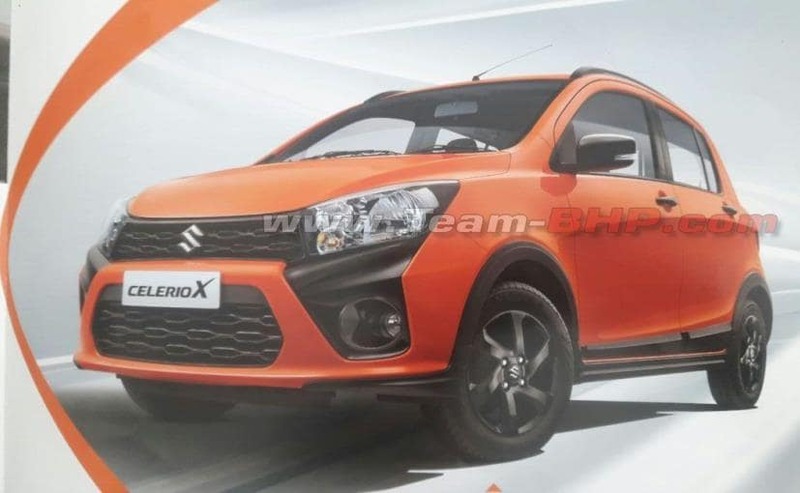 It was just a few of days ago that we told you about the new Maruti Suzuki Celerio X, the upcoming crossover-style hatchback based on the Celerio. While the car was expected to be launched early this, it now seems that the company has postponed the launch and will introduce the car sometime around Diwali. 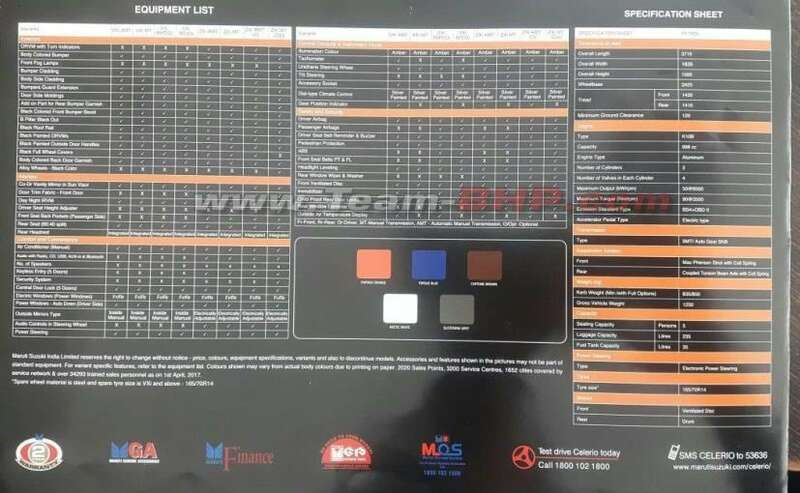 Recently, the official brochure of the new Celerio X got leaked, revealing the car features, specification and other details. Like the regular Celerio, the new Celerio X will only get a petrol engine, with the option of either a manual gearbox or an AMT. In terms of dimensions, the new bumper, side cladding, and roof rails have made the car slightly longer, wider and taller. The Celerio X is 3,715 mm in length, 1,635 mm in width and 1,565 mm in height, but the ground clearance comes down to 120 mm compared to the 165 mm of the standard Celerio. Having said that, the wheelbase remains unchanged at 2,425 mm, and so does the boot space at 235-litre boot. 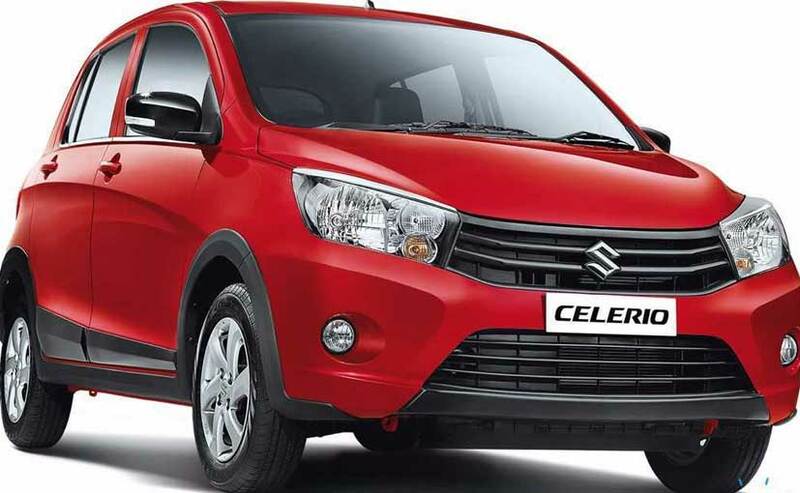 The new Maruti Suzuki Celerio X will primarily come in four variants - VXI, VXI AMT, ZXI and ZXI AMT, along with option package for each one of them. Visually, the car looks a lot more stylish thanks to the new crossover-style body kit and black treatment. The car gets a new black grille, smoked headlamps, and a large trapezoidal airdam with black grille. The front bumper is all new with black plastic panels and large circular foglamps. The new Celerio X also comes with black underbody plastic cladding and wheel arches along with new black ORVMs with integrated turn lights, black roof rails and new black 14-inch alloy wheels. From the rear, the top half of the Celerio X is identical to the regular Celerio, but the lower section gets a new rear bumper with heavy plastic cladding and a diffuser. 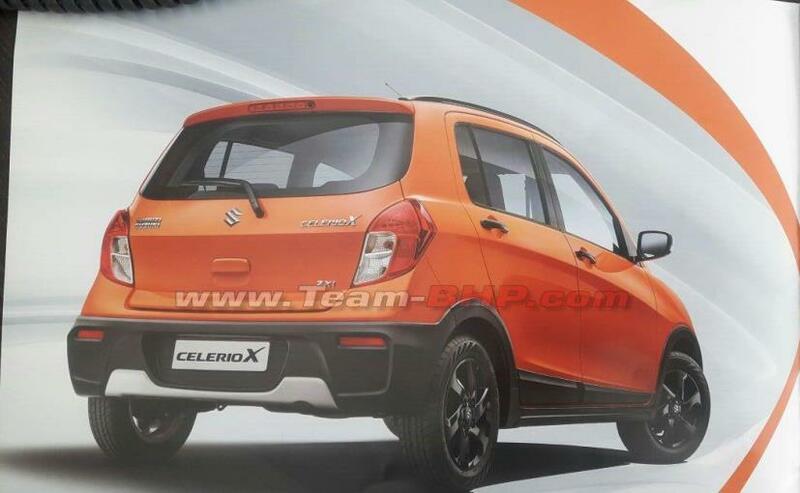 The Celerio X will be available in five exterior colour options - Orange, Blue, Brown, White and Grey. 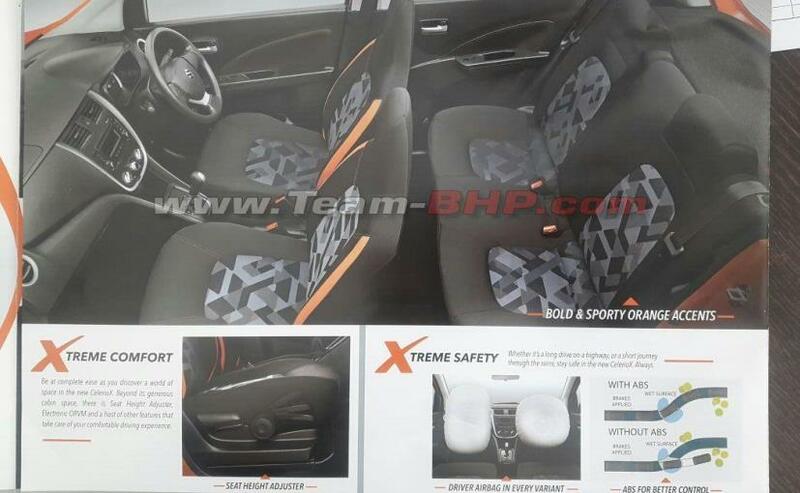 The new Maruti Suzuki Celerio X also comes with an updated cabin with new black seat covers sporting geometric patterns, orange accent lines for the front seats. Instead of the black-beige interior, the Celerio X comes with an all-black cabin with features like a driver side seat height adjuster, tilt steering, steering mounted audio controls, keyless entry, rear wiper, washer and defogger. On the safety front, driver side airbag and driver seatbelt pretensioner are standard across all variants, while passenger airbag and ABS are offered only as an option. Mechanically, the Celerio X remains unchanged and comes powered by the same 998cc, 3-cylinder petrol engine which makes 67 bhp and 90 Nm. The model will be offered with a choice of a 5-speed manual gearbox with an option of a 5-speed AMT.